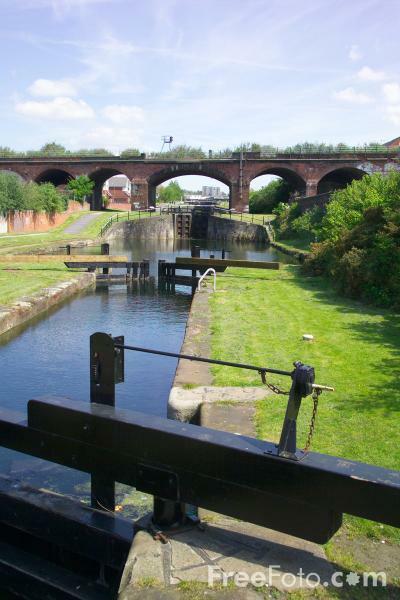 Photograph of the Stanley Dock branch on the Leeds and Liverpool Canal. The branch descends 44 feet through 4 locks to Liverpool docks. The four locks where designed by Jesse Hartley and are the only all-granite canal locks in the country. VIEW: More images from the category Stanley Dock branch, Leeds and Liverpool Canal or taken at the same location or around the same time .